Today's Gold Box special on Blu-ray enters the Matrix! 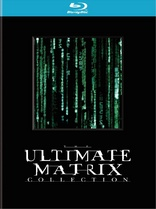 Amazon is selling 'The Ultimate Matrix Collection' for just $25.49 (61% off suggested list price). Click here to take advantage of this exceptional, today-only offer!